Download Penn State Nittany Lions fight songs to your cell phone. Search for your favorite Penn State ringtones to save on your iPod, iPhone, or Android. Get the Fight On, State ringtone for your cellphone for free. 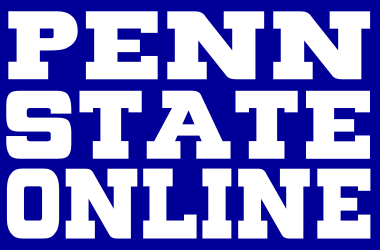 Download your favorite free Penn State ringtones at Big Ten Football Online. Penn State has the best fight music in the conference, get ready to listen to your heart’s content. With our Big Ten football ringtones, fans can listen to their favorite Big Ten school fight song, alma mater and all the cheers associated with all the greatest athletic teams in the nation. Get free Penn State Nittany Lions ringtones at Big Ten Football Online and listen to the best fight music ever made. We’re ever true to you, dear old White and Blue. To which they pledge allegiance, and always cherish dear. It’s the stately Nittany Lion, the symbol of our best. HAIL! to the Lion, loyal and true. HAIL! Alma Mater, with your white and blue. FIGHT! for her honor — FIGHT! — and victory again. Purdue its gold and black. The best they’ve ever seen. and Yale her Bulldog, too. and Cornell with its Bear. For her founders strong and great. All with thee, all with thee. Dear Old State, dear old State.